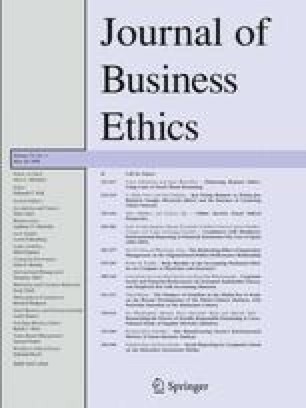 Although agreement on the positive sign of the relationship between corporate social and financial performance is observed in the literature, the mechanisms that constitute this relationship are not yet well-known. We address this issue by extending management’s stakeholder theory by adding insights from psychology’s prospect decision theory and sociology’s resource dependence theory. Empirically, we analyze an extensive panel dataset, including information on disaggregated measures of social performance for the S&P 500 in the 1997–2002 period. In so doing, we enrich the extant literature by focusing on stakeholder heterogeneity, perceptional framing, and disaggregated measures of corporate social performance.